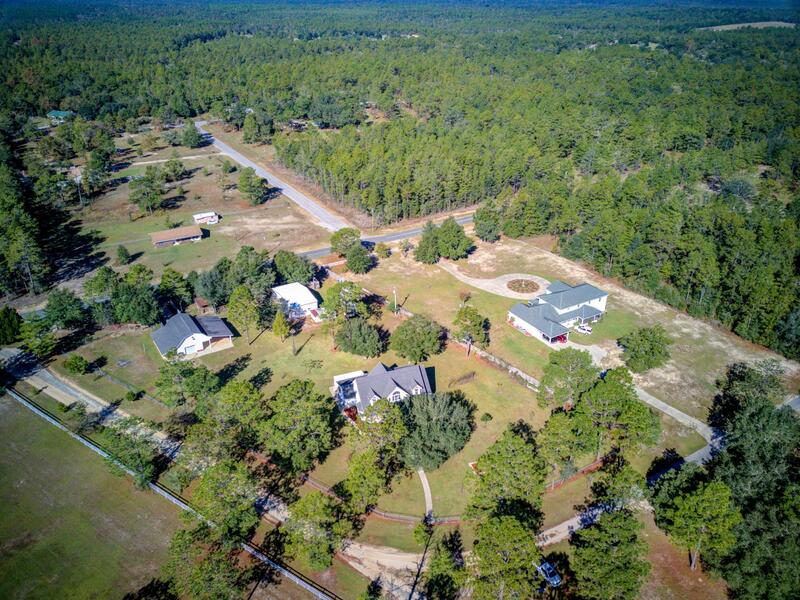 Southern Living on your 2 Acre Lot with TONS of extras! Workshop, covered parking for all your recreational toys, deep well and irrigation, fully fenced level lot, bearing fruit and nut trees, RV hookup, porches, game room, man cave with 1/2 bath, CUSTOM Home and Gourmet Kitchen! Gorgeous entry with a covered porch welcomes your guests. Step into the Foyer with hardwood floors and elevated ceilings. Living Room w/cathedral ceiling opens up to the Kitchen and Den. DREAM Kitchen w/double ovens, dual fridges, commercial 6-burner range and hood, custom cabinetry, granite counters, and kitchen island w/breakfast bar seats 5! Dining Room is located off the Kitchen and accented with a tray ceiling and bay window. Private Master Suite features french doors to covered porch and a luxury bathroom.